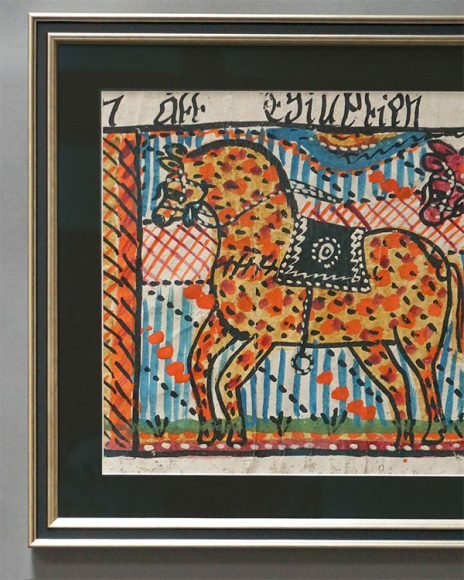 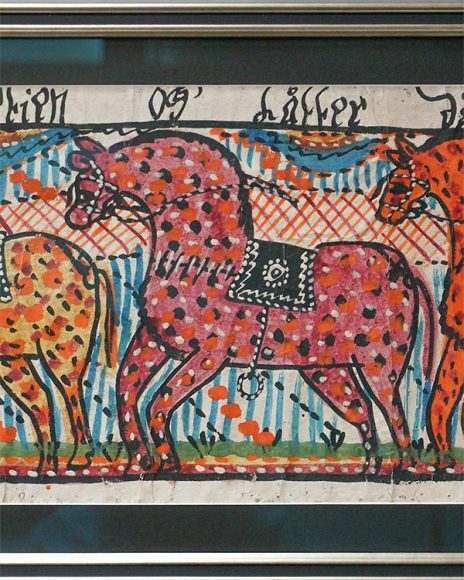 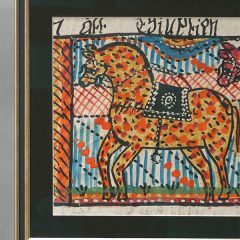 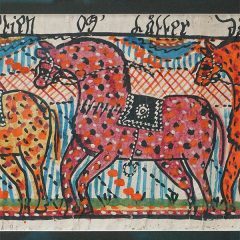 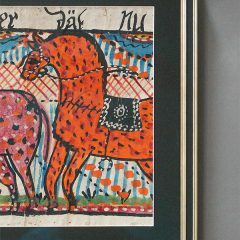 Fragment of a Swedish bonad, circa 1830, showing three saddled horses, part of a longer row. 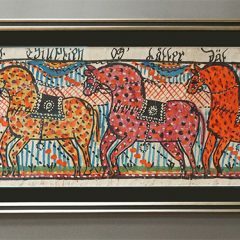 This is probably an illustration of Joseph’s brothers coming to him in Egypt for relief from famine. 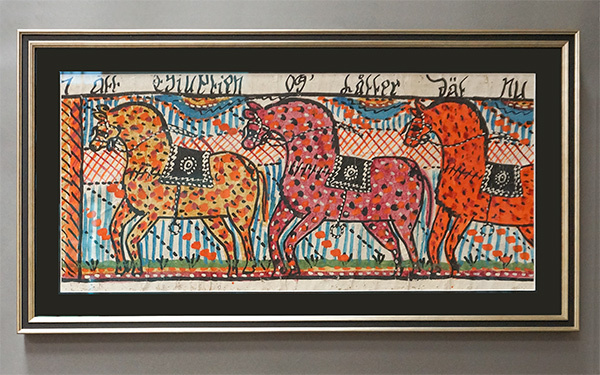 Painted in bright colors in the naïf style of Southern Sweden. 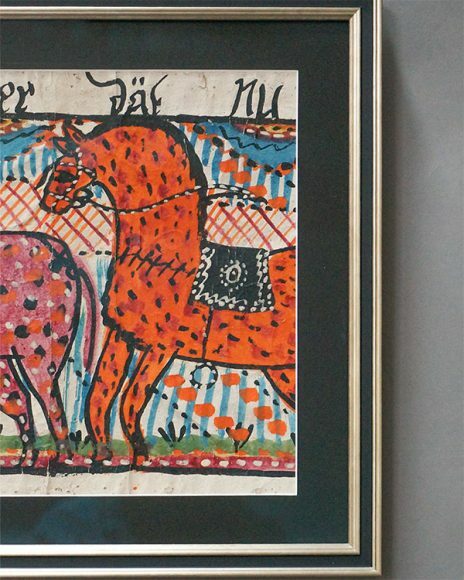 Tempera on paper, newly frames with archival materials.